Peelings give luminosity, soften sun marks and the ones that appear during pregnancy and ageing, irregular pigmentations, acne scars and other skin injuries., which give an older look to your skin. Chemical peeling is a non-invasive medical aesthetic treatment with a depigmenting effect, which unifies the colour of your skin and gives it a radiant and luminous look. It’s a soft chemical procedure – almost painless – that allows us to eliminate the upper layers of skin where dead cells and skin injuries remain. It results in a new visible layer with no stains and marks and eliminates small wrinkles. You’ll enjoy a radiant, rejuvenated skin with a notably new look. A superficial, medium or deep peeling will be applied depending on the patient’s needs and characteristics. 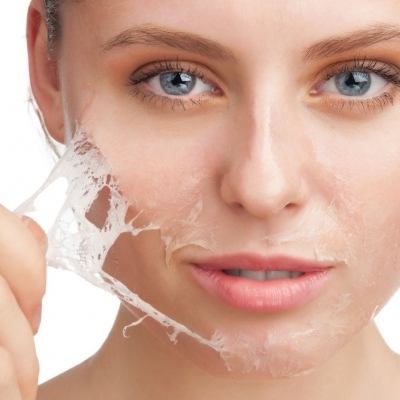 Chemical peeling is a non-invasive aesthetic medical treatment. It’s a quick and practically painless process (you’ll feel a slight sting) which consists of the application of an acid on previously prepared skin. At first, the skin will appear red and after a few days it will start to flake (sometimes it’s barely perceptible) leaving behind a new, softer, more hydrated skin free of stains or marks. The substances we use are authorized for aesthetic medical purposes. Chemical peeling generates a rejuvenating effect on skin, giving it a more luminous and uniform look. It eliminates imperfections, acne scars and other superficial injuries, small wrinkles and sun marks. It’s a technique which is recommended to soften scars and alterations produced by skin ageing or hormonal changes (pregnancy stains).